AEI Services – Erosion control, earth moving, storm sewers, sanitary sewers, waterline, pond installation, and landscaping. Summary – Leave it to AEI to make a connection between Hollywood and excavating. 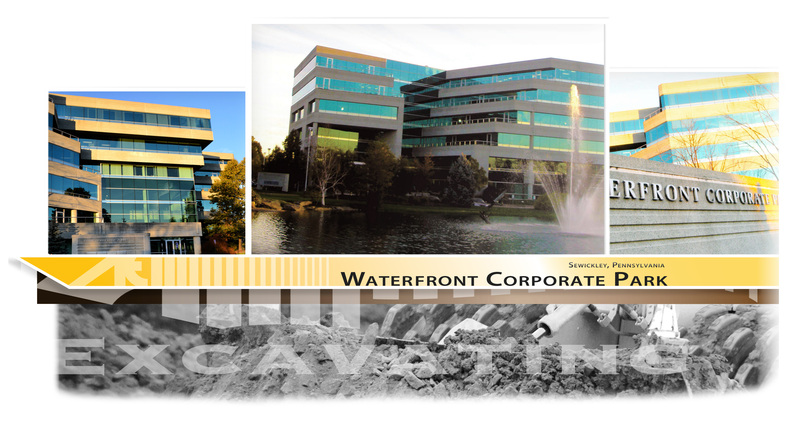 To date, Waterfront Corporate Park has been honored with three Landscape Awards by three separate associations. Perhaps the reason we received these awards sheds some light on why AEI’s completion of this high-end office development was followed by the production of the 2010 feature film Love and Other Drugs, starring Anne Hathaway and Jake Gyllenhaal. The producer’s selection of Waterfront Corporate Park is a testament to the potential for the extraordinary offered by the coming together of an architecture team with a propensity for perfection and an excavation company with unparalleled expertise in plants, soils and earth work. Elegant landscaping featured by a centrally located, one acre pond accompanies 385,000 square feet of office space with ornate architecture. The irrigation provided by AEI to all landscaped areas ensures optimal plant growth and, in that, optimal beauty in the spring and summer months. AEI constructed the waterfront pond using linear, mild sloping side and a gravel bottom. At AEI, the combination of our attention to detail and our appreciation for, and capability to provide, aesthetically pleasing landscapes yields unprecedented results in the excavating industry. The site demonstrates our ability to provide precise compaction detail, as this was essential to the 100% concrete parking areas. Proper compaction was critical on this site as the entire parking areas were 100% concrete. All landscaped areas were specified to take 2’ – 3’ of shredded topsoil for mound contouring, rolling areas, waterways, and planting beds.